SPECIAL CHRISTMAS DEAL - Usually £24.99, today just £14.99 - Save £10! 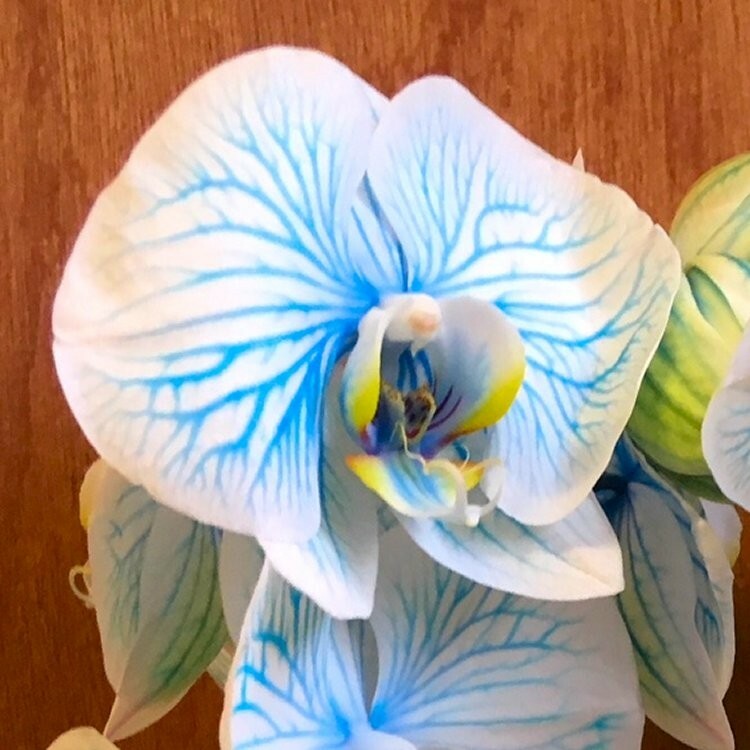 An elegant and luxurious Delft Blue Phalaenopsis Orchid. 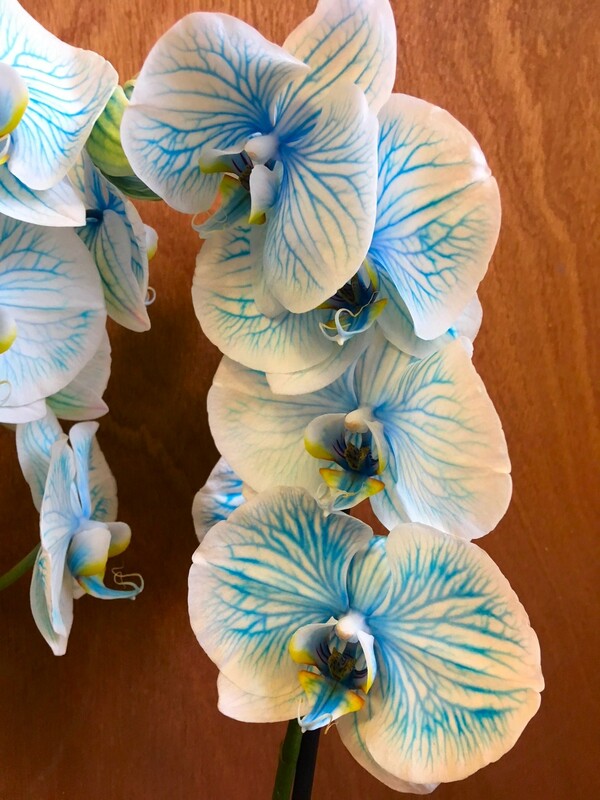 This unusual creation will become a real focal and talking point, featuring large pure white flowers with Blue marbling in every bloom, that occur thanks to special growing techniques employed in the greenhouses that produce these plants. 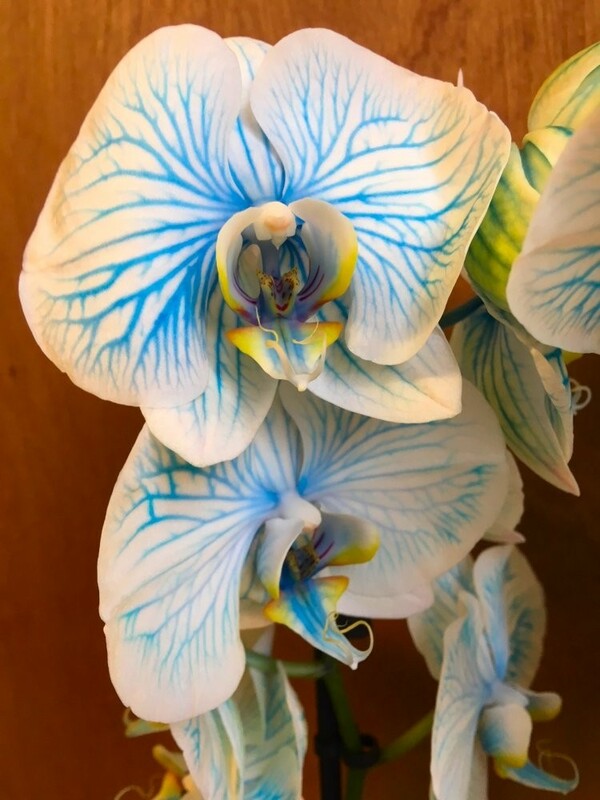 Phalaenopsis Orchids are stylish plants, originating in South East Asia, displays multiple flower heads which resemble moths or butterflies. 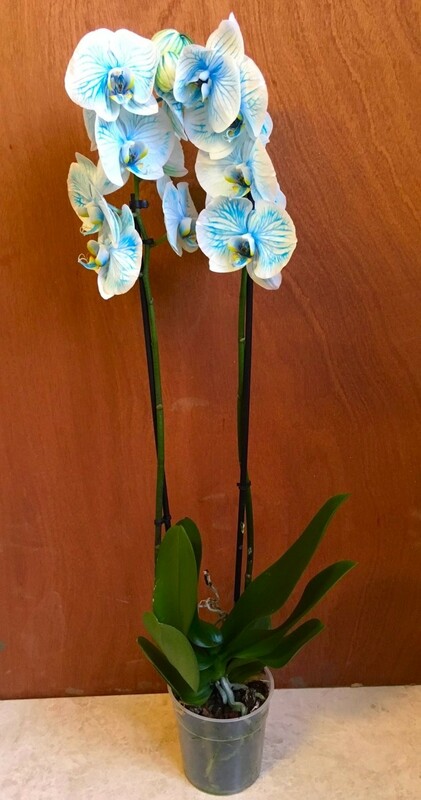 The Phalaenopsis Orchid makes an instant impact and is a great way for you to show a loved one you care. For best results, Orchids need even temperatures and a brightly lit room, but avoid direct sunlight. Easy to grow and care for, simply position and enjoy. 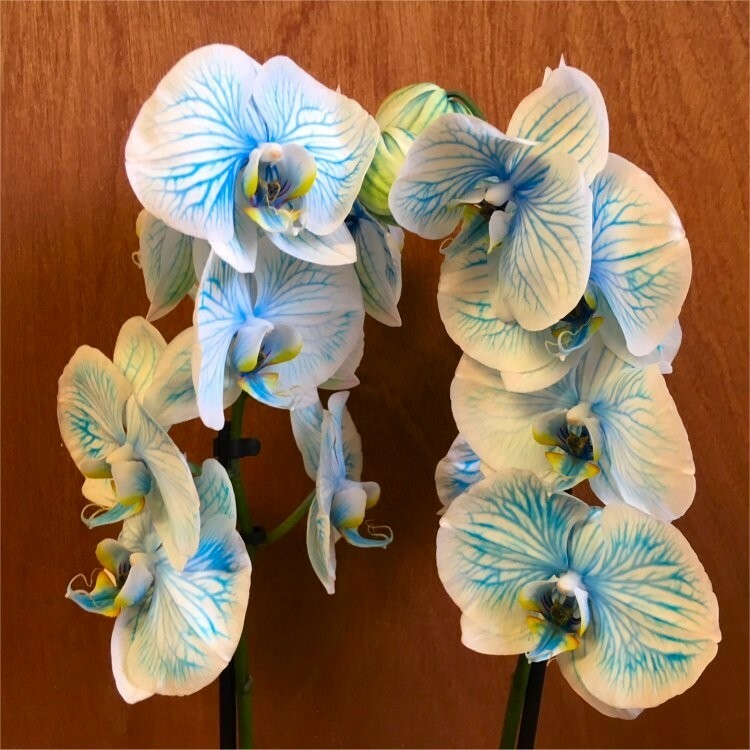 Supplied as pictured, as a large luxurious plant with two tall stems of large delft blue flowers, and an overall height of around 60cms, this is one plant that will really make an impact.